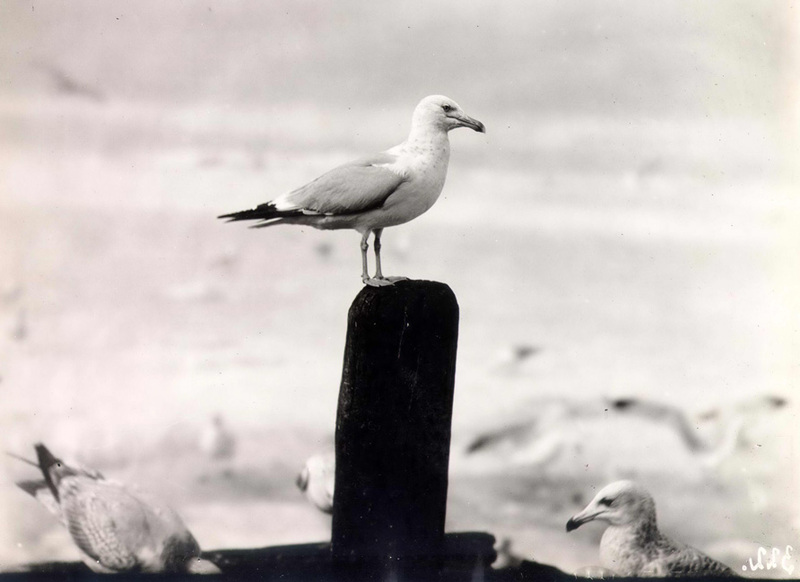 Since Sandusky is located on Sandusky Bay and Lake Erie, seagulls and buoys are sights that are quite familiar to local residents and visitors to the area. Gulls are found in location all locations of the globe, virtually always near a body of water. 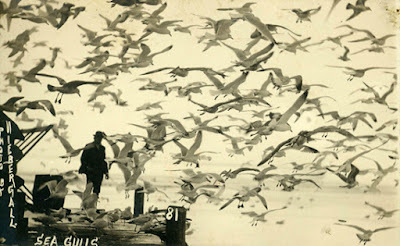 The photographic postcard above was created by local photographer Ernst Niebergall about 1912. 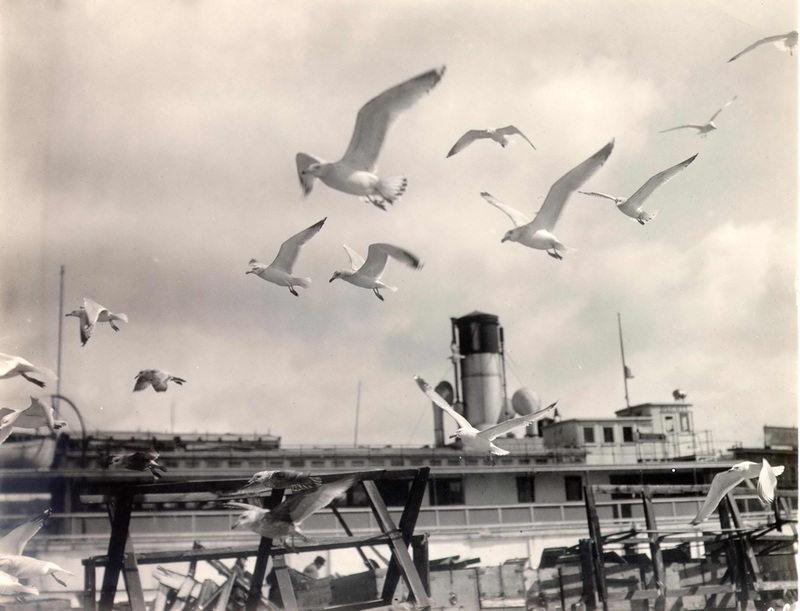 In this view, the gulls are flying near a local pier. Buoys, the anchored floats that serve as navigational aids, are a common site on the water during boating season. 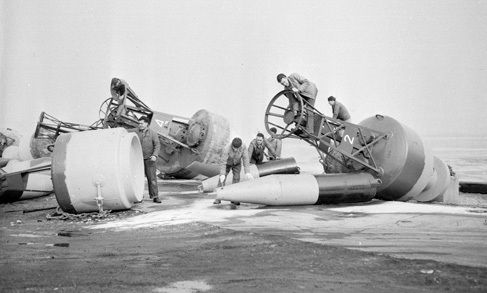 Several men are working on buoys near Sandusky Bay, probably for placing into winter storage, in this picture taken in the 1930s or 1940s. This picture of the Bing’s Furniture Store at 202 East Market Street was taken by Helen Hansen in 1983. 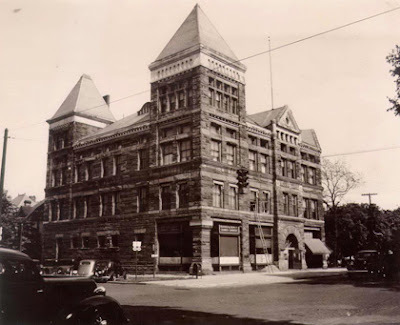 At that time the building recently had a face-lift which included the addition of shutters over the upper level windows, and sandblasting of the exterior brick. 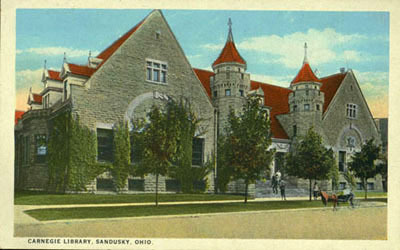 This commercial building was built by Sandusky contractor George W. Doerzbach in the Spring of 1894. 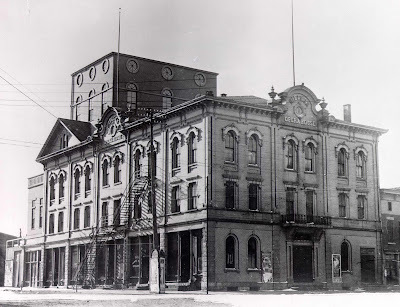 It originally was a one hundred foot square brick structure. 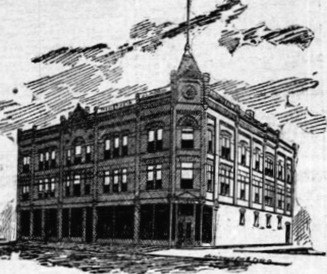 An article in the Sandusky Register of March 30, 1894 reported that the foundations of the building were blasted out of the stone bedrock. The stone that was blasted was then used in the basement and the first floor. 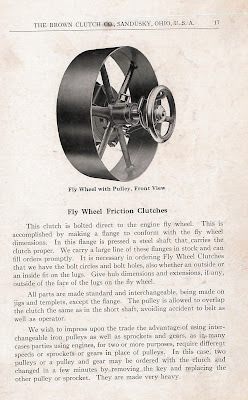 Klotz and Kromer provided the engines that drove the elevator. A tin roof was put in by J. Mertz and Son, and the interior painting was done by Holland and Tebbutt. 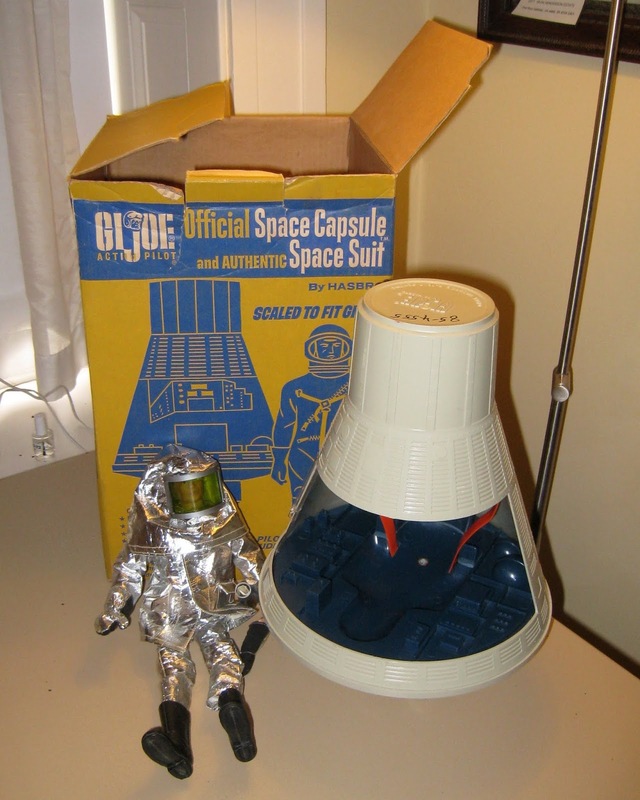 Total cost was $40,000 (about $1.2 million today). 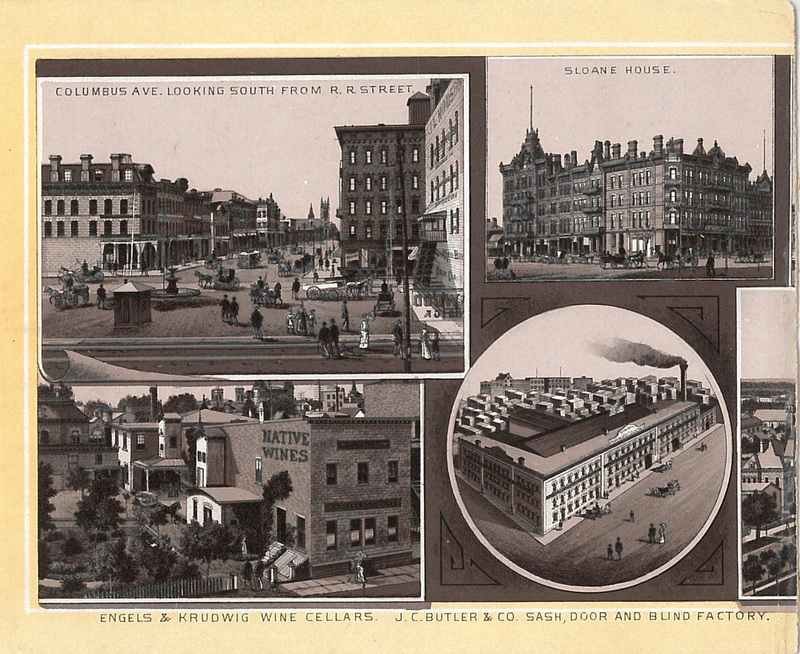 The basement was leased to Engels and Krudwig, who pressed 400 tons of grapes in the fall of 1893, while the construction was still ongoing. In April of 1894, the J.L. Hudson Store opened at this location, after having previously done business in the Hubbard Block. The J.L. 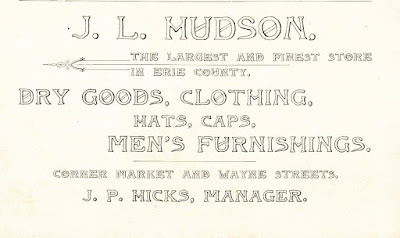 Hudson Company, which had its headquarters in Detroit, claimed that their store was the largest and finest in Erie County. 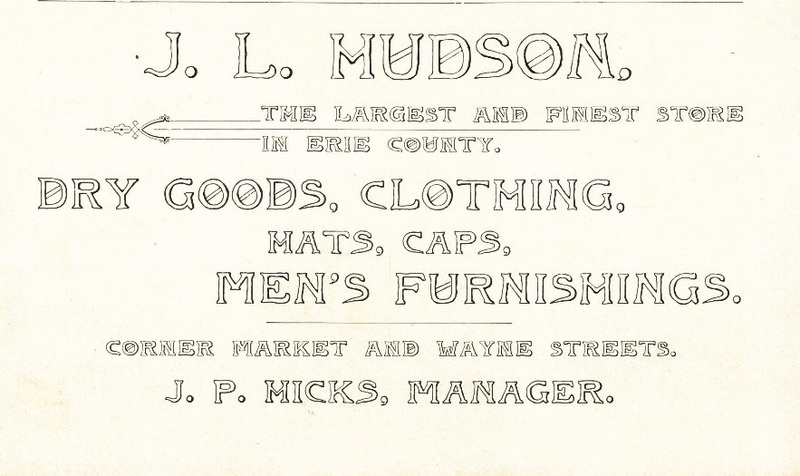 The April 9, 1894 issue of the Sandusky Register reported that at Hudson's grand opening, Professor Theodore Taubert’s orchestra provided musical entertainment, and potted plants and ferns decorated the store. Mr. J.L. Hudson himself arrived from Detroit to be present at the opening of his store’s newest location. 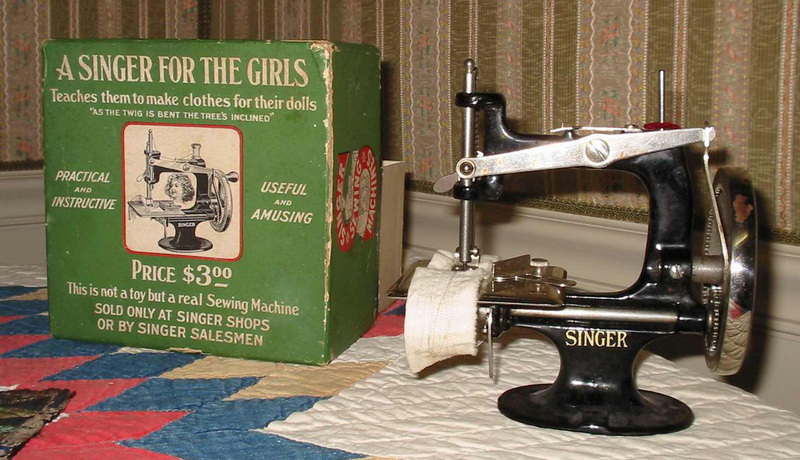 The store sold men’s clothing and hats, women’s apparel and dry goods. 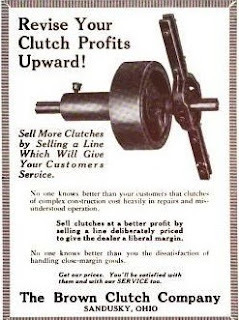 J.P. Hicks was the manager. 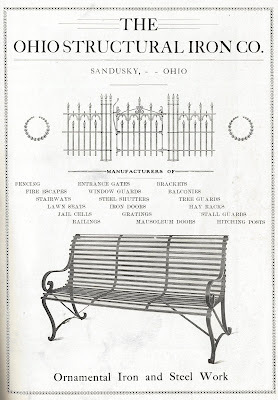 Mr. Hudson died on July 5, 1912, and soon after, in the summer of 1913, articles in the Sandusky Register announced that the Sandusky store would soon be closing. 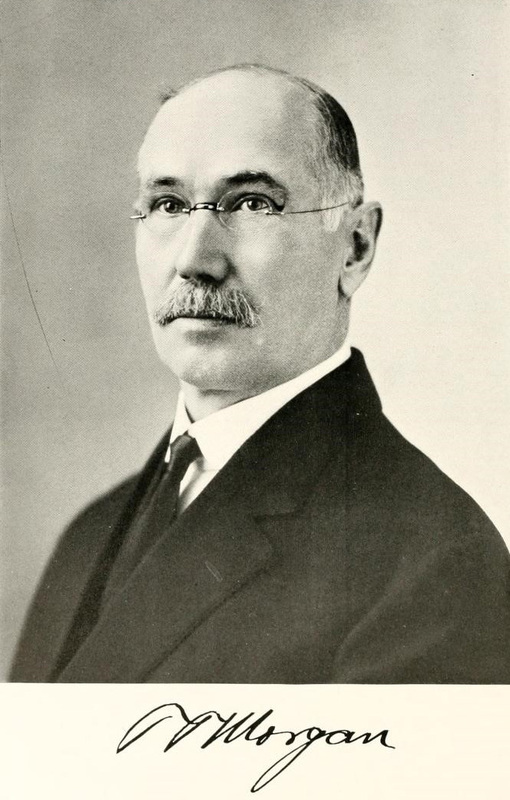 For a short time, John J. Healy operated a retail store at the site of the former J.L. Hudson store. 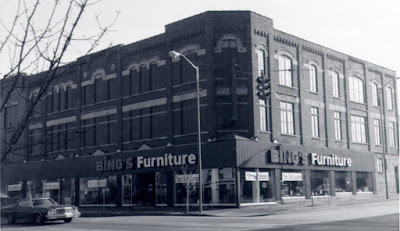 Jacob H. Herman sold furniture and carpets here for many years, until the Bing Furniture moved in to this site in the 1940s. Since 1987, Value City Furniture has been in business at the southeast corner of Market and Wayne Streets in Sandusky. 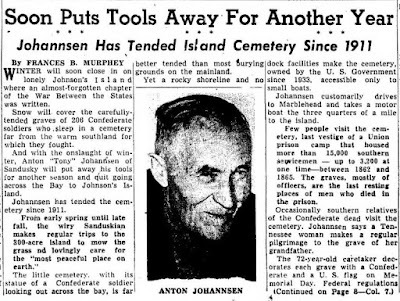 From about 1911 to 1956, Sandusky resident Anton Johanssen worked as the caretaker of the Johnson’s Island Cemetery, on Johnson’s Island. The cemetery is the final resting place of over two hundred Confederate soldiers who died at the prison camp on Johnson’s Island during the Civil War. 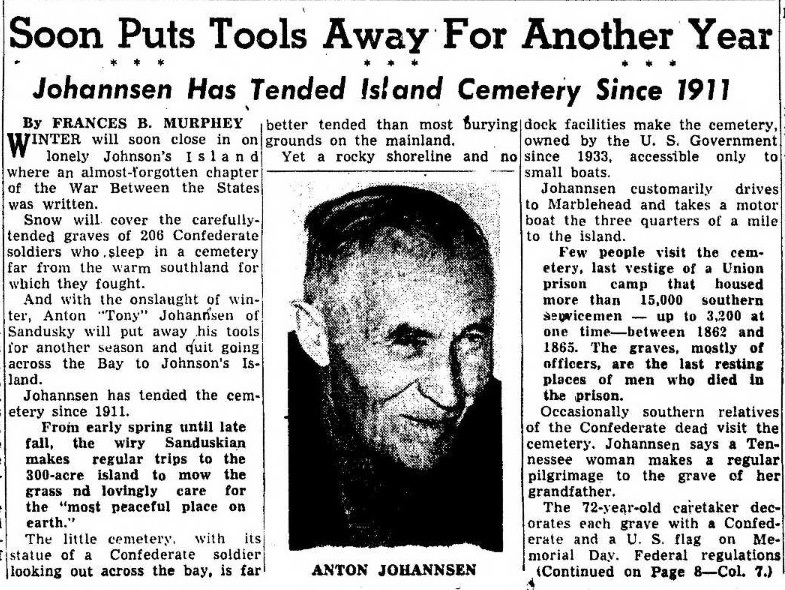 An article from the December 5, 1953 issue of the Sandusky Register reported that Mr. Johanssen made the trip from Sandusky to Johnson’s Island from early Spring until late Fall to mow the grass at the cemetery, and care for the “most peaceful place on earth.” He would drive to Marblehead, and then take a small motorboat out to the island. (At that time, the causeway to Johnson’s Island had not yet been constructed.) For many years he decorated each grave with both a Confederate and a United States flag. Anton Johanssen was born in 1879 on a Danish Island. 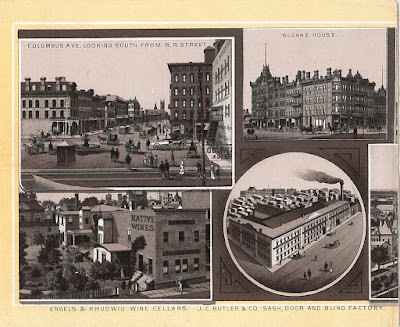 He emigrated to the United States in 1895. When he first settled in Ohio, he resided on Johnson’s Island, where he raised cattle and farmed over 75 acres of land. 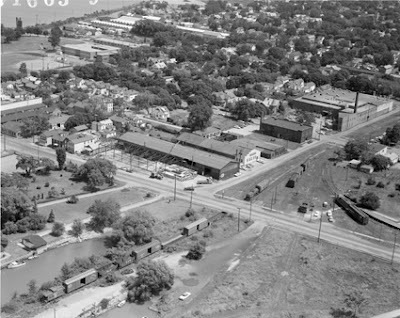 Besides working as the caretaker of the Johnson’s Island Cemetery, Mr. Johanssen also worked for twenty-five years at the American Crayon Company. On October 27, 1967, Anton Johannsen passed away at the age of 88. He was survived by a son, daughter, and several grandchildren. He lived a full and busy life in his adopted country. 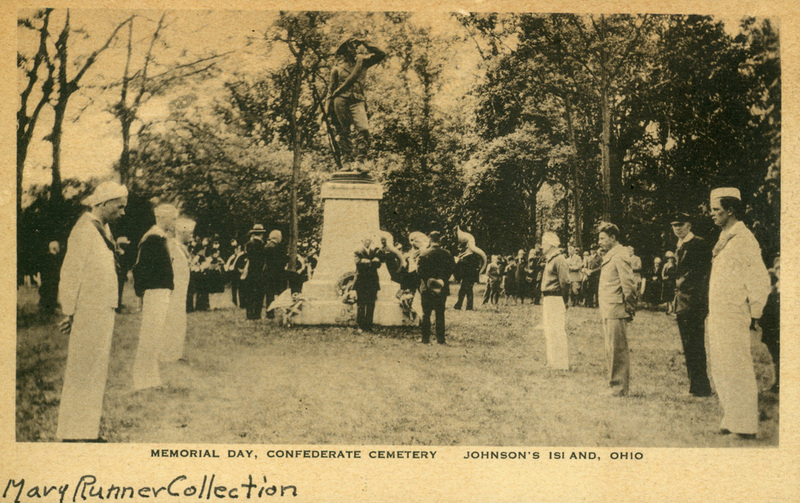 Mr. Johanssen must have found this monument to the Confederate soldier (built in 1910) a familiar sight. 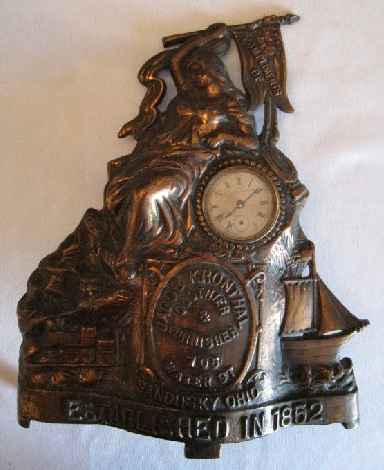 On October 15 and 16, 1890, the 81st Annual Assembly of the Grand Lodge of Free and Accepted Masons of Ohio convened in Sandusky, Ohio. The opening meeting was held at the Opera House, where Grand Master Leander Burdick gave the address. Masonic groups from all over the world sent greetings to the Ohio lodge members. 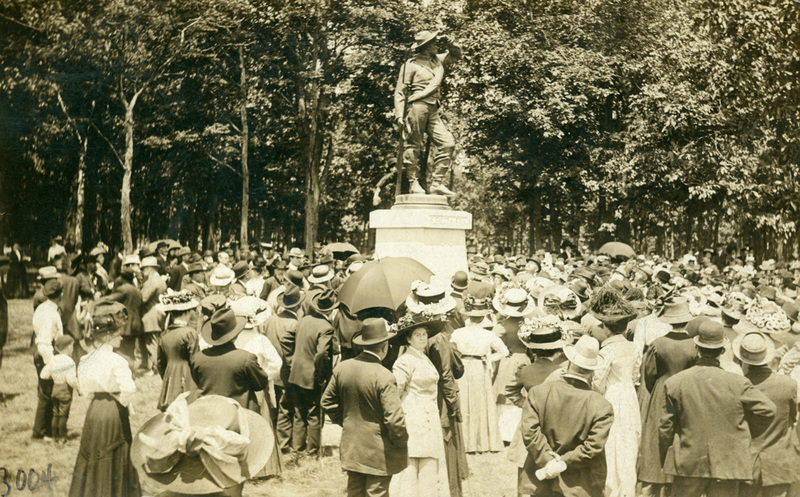 Several committee reports were given, and officers were elected. During the evening hours, Lodge officers, members, and ladies were invited to a reception at the newly-built Sandusky Masonic Temple. Mr. W. G. Mellish gave a speech, and entertainment was provided by the Masonic Quartette and the Opera House Orchestra. 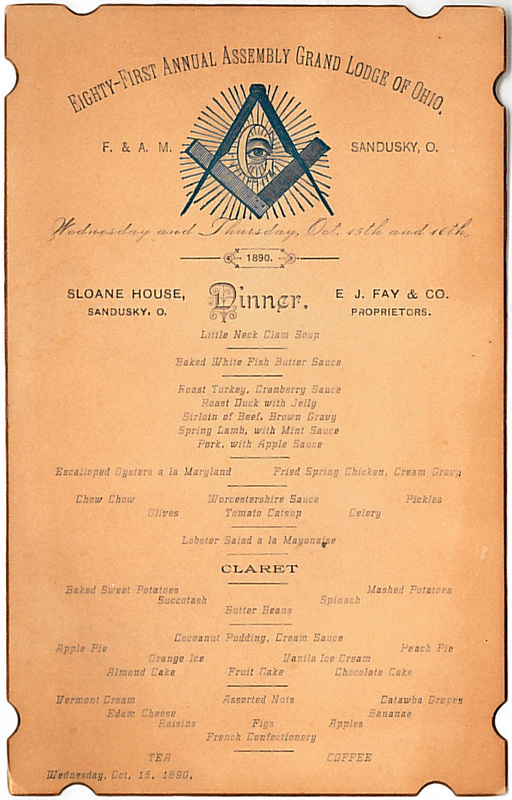 Nearly 500 members attended the banquet on October 15, held at the Sloane House. That same evening the Masonic Veterans Association of Ohio met at the Odd Fellows Hall in Sandusky. During their time in Sandusky, lodge members were invited to go fishing. Local lodge members arranged for boats and fishing tackle to be available to all visiting lodge members. 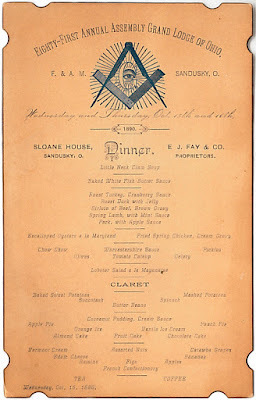 You can read about the 81st Annual Assembly of the Grand Lodge of Ohio in the October 16, 1890 issue of the Sandusky Register, available on microfilm at the Sandusky Library Archives Research Center. Now home to Divine Awakenings, the former Kerber’s Marine Grocery was in business on Tiffin Avenue in Sandusky for many years. 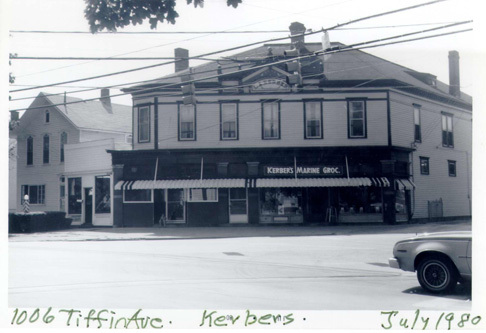 Lorenz Kerber built this building in 1888 as a grocery store that took supplies to coal, ore and grain boats in Sandusky, Huron and Marblehead. 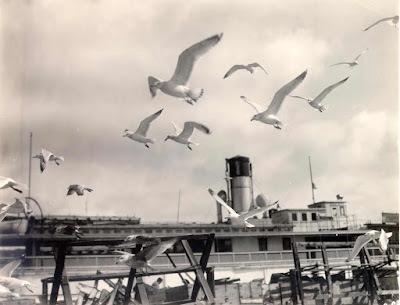 Ellie Damm wrote in her book Treasure by the Bay that Kerber’s sent out supply boats to meet the grocery needs of the big freighters. For a few years, Lorenz Kerber was in a partnership with Charles Miller. Sadly, Lorenz Kerber died at the age of 30 in 1892. His sons continued in the family grocery business. 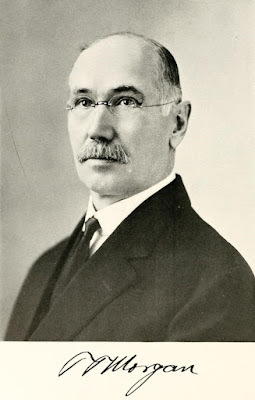 An article in the Sandusky Register of February 6, 1911 stated that the partnership between Charles F. Miller, F.A. Kerber and O.J. Kerber was dissolved, but the business apparently continued. Henry Clay Huntington was born on November 21, 1841 in Brownville, New York, to Apollos and Deborah (Rowland) Huntington. Henry came with his parents to Sandusky, Ohio in 1852. 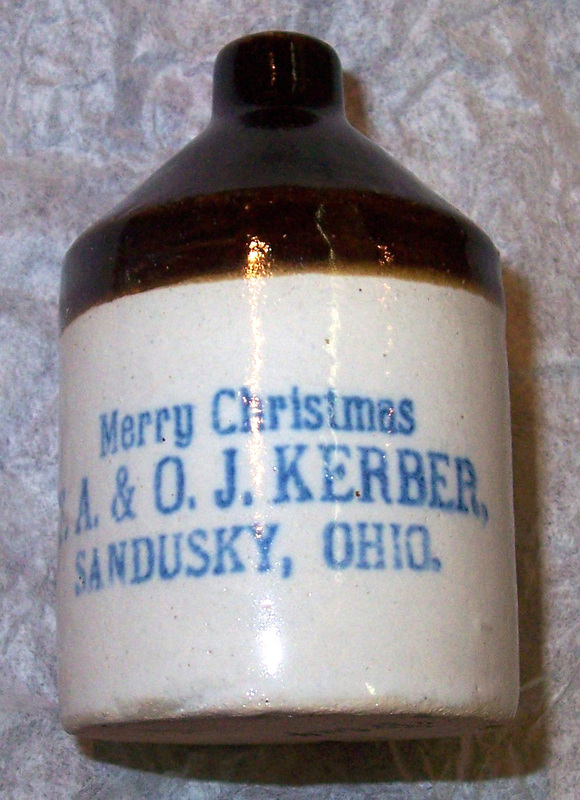 He graduated from Sandusky High School in 1859. 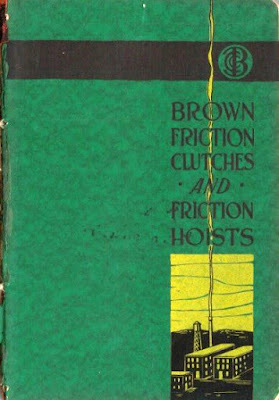 Even before he graduated from high school, Henry worked for C.V. Olds in his bookstore and stationery business. 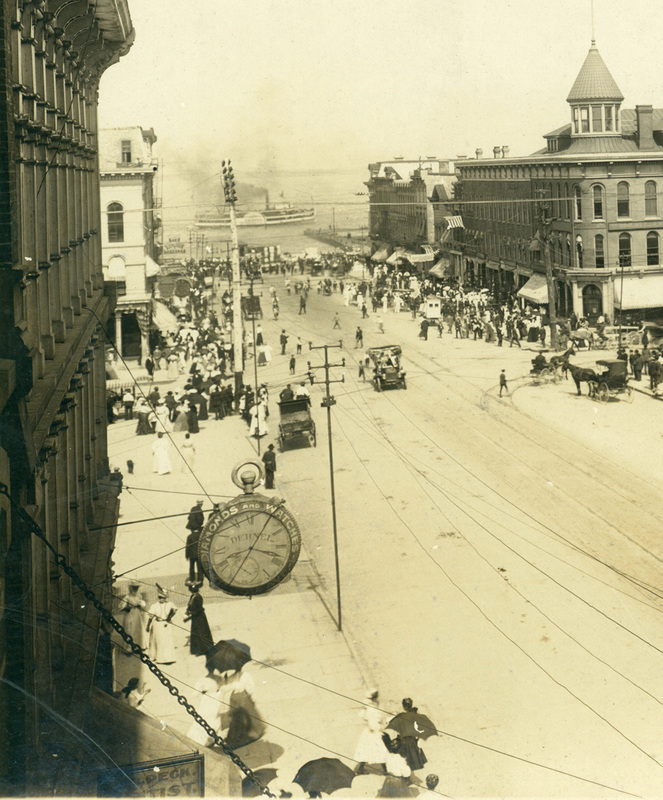 After the death of Mr. Olds, Henry took over the bookstore and stationery business on Columbus Avenue in Sandusky. 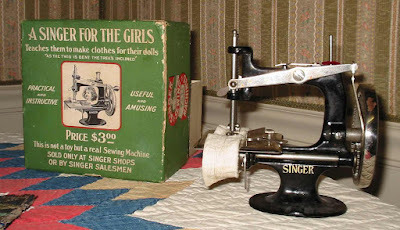 For a time, he was in a business partnership with B.L. Skadden. In 1890, H.C. Huntington and Co. published a souvenir album of Sandusky. 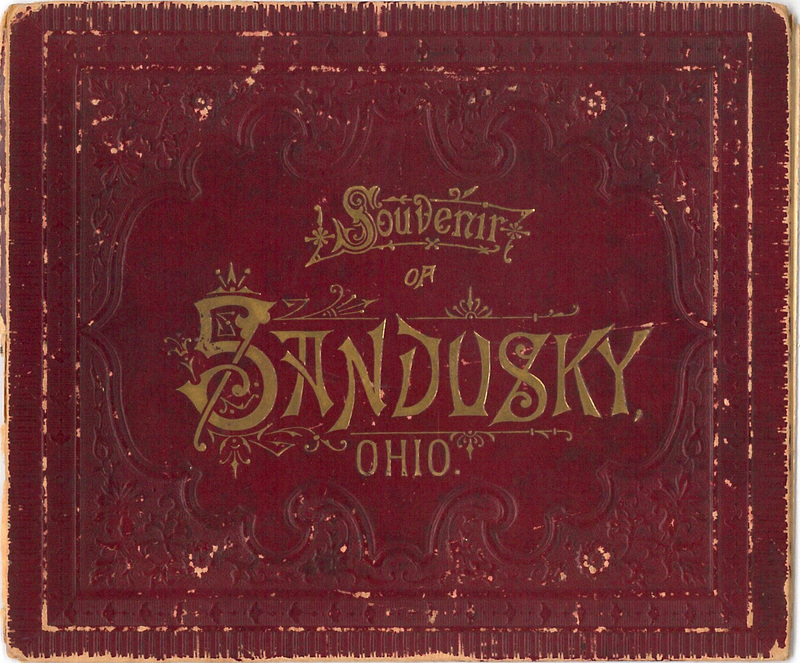 The small album featured pictures from Sandusky, including the business district, churches, the Cold Creek area, Cedar Point, and the Ohio Soldiers’ and Sailors’ Home. 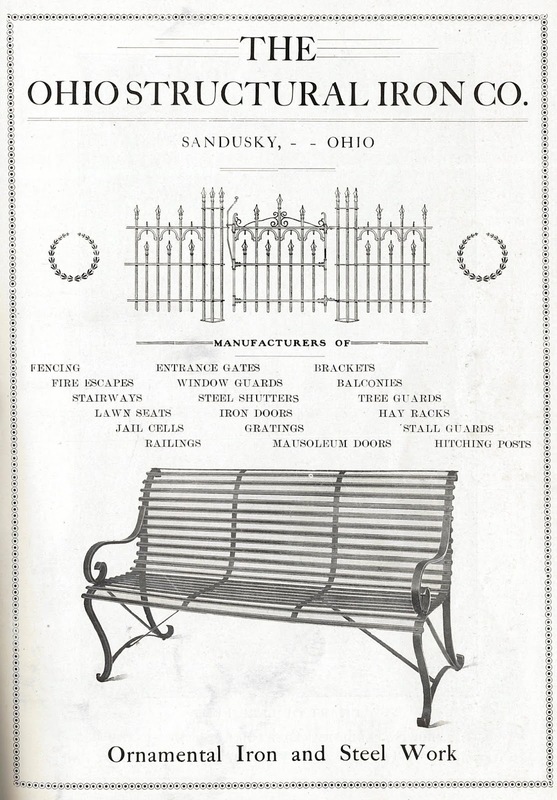 This page features several businesses from downtown Sandusky. 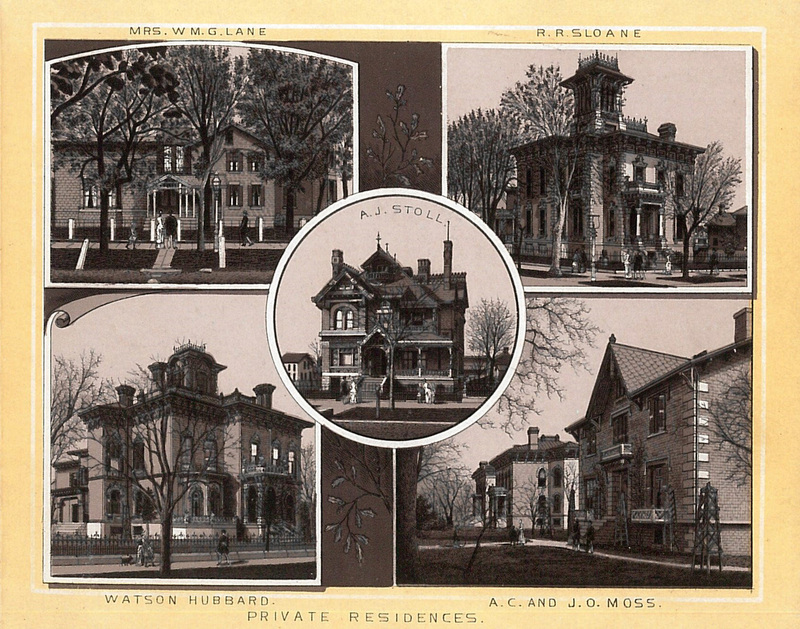 The album also contains images of the homes of prominent residents. Brown paper book covers were once sold or perhaps given away by H.C. Huntington and Company. H.C. Huntington was married twice. 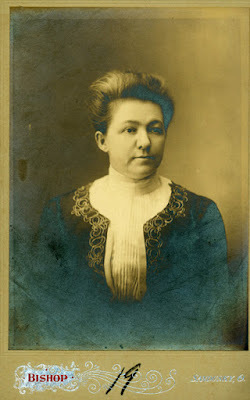 His first wife, Laura, was the daughter of educator M.F. Cowdery. Laura Cowdery Huntington died in 1868. 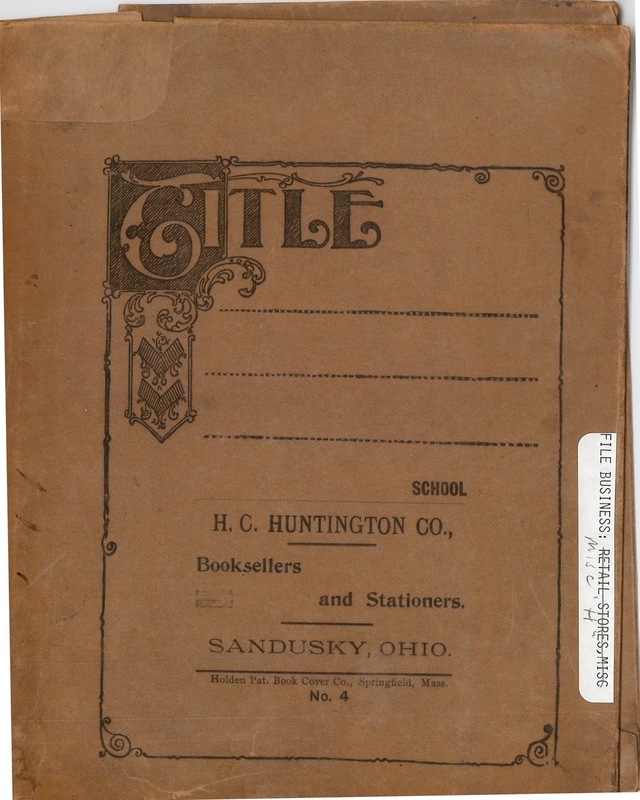 Mr. Huntington's second wife, Mrs. Josephine Huntington, served on the board of the Sandusky Library in the late 1800s. 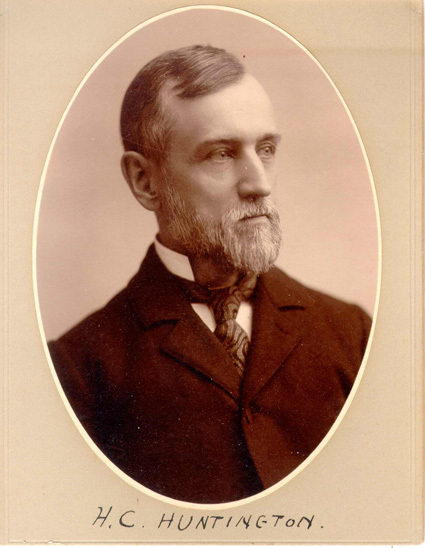 Henry C. Huntington died unexpectedly on December 11, 1905, at the train depot in Sandusky. 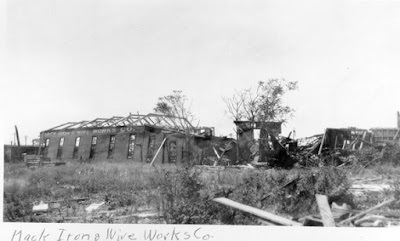 He was survived by his wife, three sons, and three daughters. Mr.Huntington was buried in Oakland Cemetery. 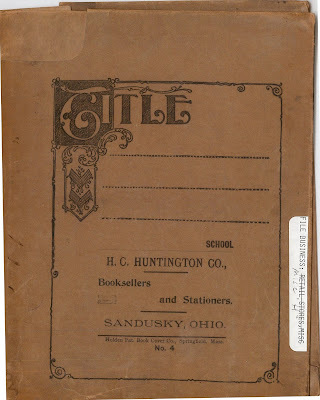 Besides running his successful bookstore, from which he retired in 1904, Mr. Huntington had been a member of the Congregational Church, served on the board of the Sandusky Cooperage and Lumber Company, and he had been member of the Chamber of Commerce and the Men’s Literary Society. Mrs. Huntington moved to Spuyten Duyvil, Bronx, New York after her husband’s death, where she and her daughter ran an inn. Mrs. Josephine Huntington passed away on August 19, 1914. 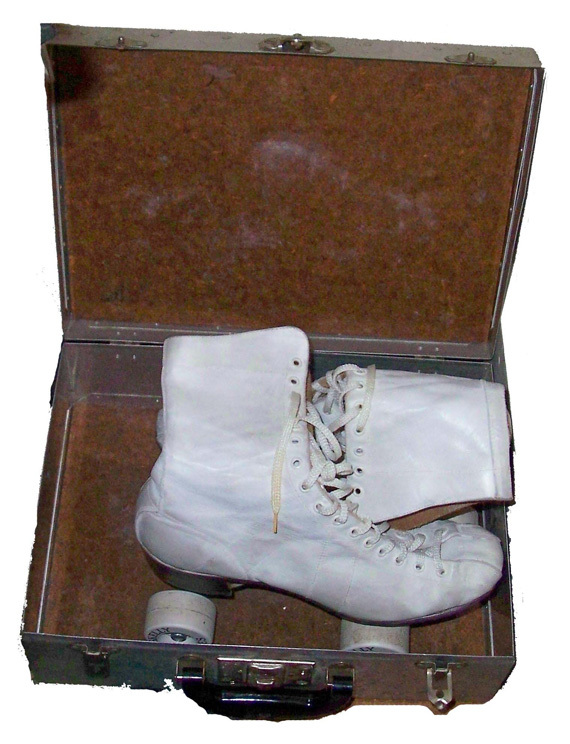 Her remains were returned to Sandusky for burial in Oakland Cemetery. 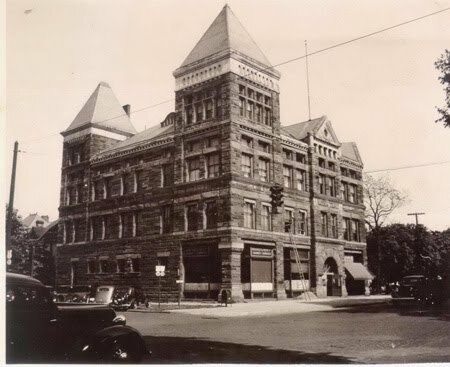 From about 1909 to the early 2000s, this building in the 500 block of Decatur Street served as the residence for the Sisters of Notre Dame, who were associated with St. Mary’s Catholic Church and School in Sandusky. 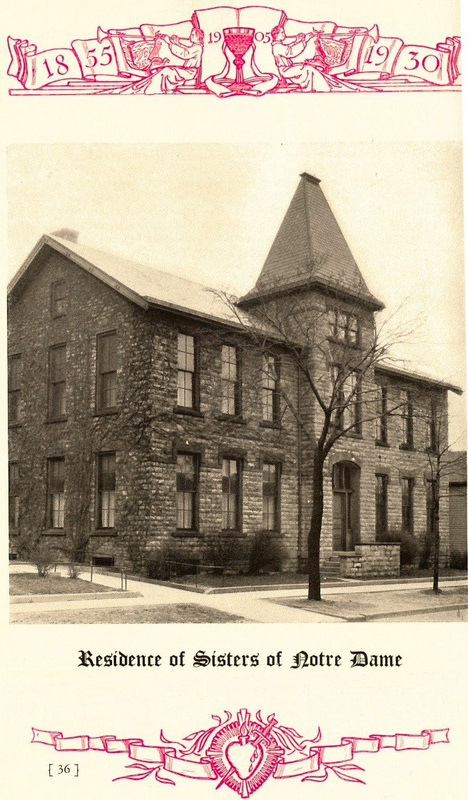 The building was originally constructed as a school in 1887, and housed the female parochial students, while male pupils attended school in a building on Jefferson Street. The girls’ school was constructed of limestone. Above the main entrance was a tower, and the windows featured decorative lintels. When the new St.Mary’s School opened in 1909, the girls’ school was converted to a residence for the Sisters of Notre Dame. Below is an image of the residence in 1930. 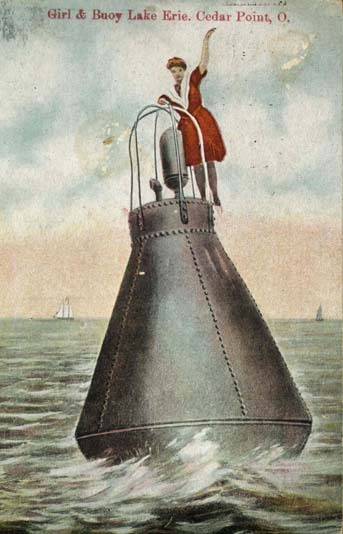 The picture appeared in a history of St. Mary’s Church that covers the years 1855 to 1930. During the Influenza Epidemic of 1918, when the Health Department closed all schools in Sandusky, the Sisters of Notre Dame “gladly and without charge” offered their services to suffering humanity. In the 1940s, a wing was added to the southern portion of the convent. Included in the new addition were a reception room, office, pantry and kitchen on the first floor; while a chapel, typing room, linen storage, and bedrooms were located on the second floor. In 1948, twenty sisters who taught school at St. Mary’s were residents of the convent, along with a housekeeper. 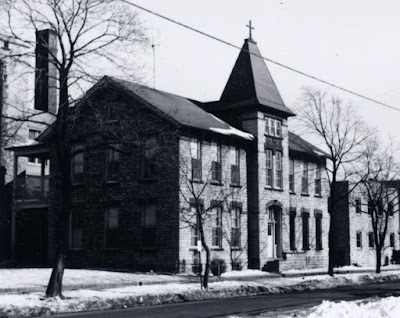 Though the former residence of the Sisters of Notre Dame no longer stands, these pictures take us back in time to the traditions of some of our grandparents and great grandparents who were of the Catholic faith. 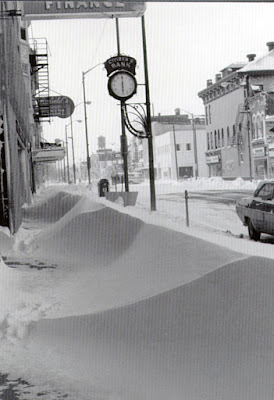 The charming clock pictured above was outside the store of “Henry Dehnel, The Leading Jeweler” on Sandusky’s Columbus Avenue. 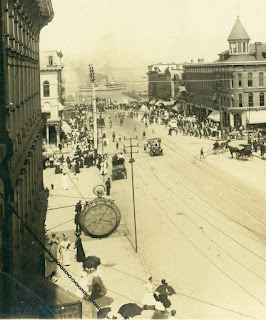 The scene is a parade which took place in downtown Sandusky about 1905, and the view was facing north towards Sandusky Bay. 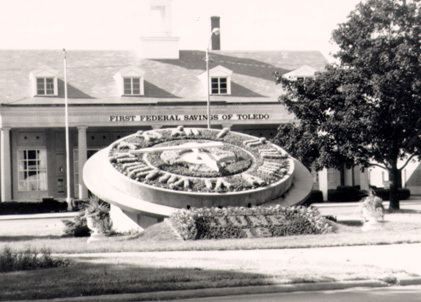 In 1992, the clock was moved to the corner of Water and Wayne Streets, opposite Civista Bank. 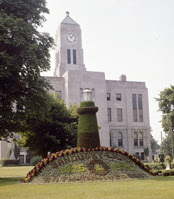 Always a popular spot for taking pictures, this snapshot of Sandusky’s floral clock was taken on June 18, 1988. If you are in Washington Parks in downtown Sandusky, you can always just look up at the Courthouse to see yet another clock.